Former MDC-T legislator Settlement Chikwinya has described the dismissal of nurses for demanding their dues as retrogressive and unsustainable move. 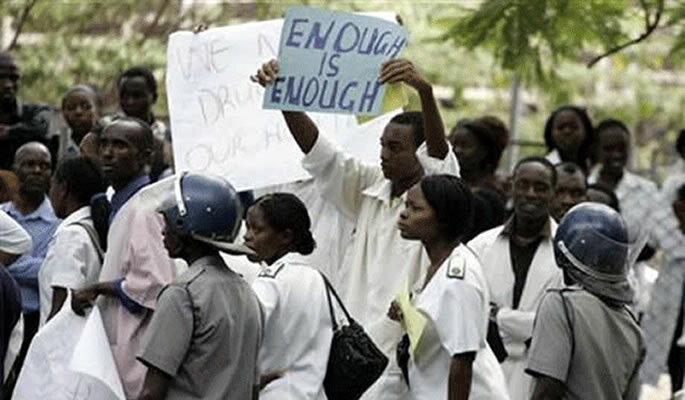 Vice President Constantino Chiwenga on Tuesday dismissed all the striking nurses and replaced them with the retired and unemployed nurses. "Dismissing Nurses from employment for expressing their grievances and hiring retired nurses remain a short blanket and unsustainable policy and intervention to a growing crisis. Gvt and in particular VP Chiwenga must desist from this military and mafia style approach and appreciate that this is an industrial relations issue and hence provisions of the PSA and the country's constitution must apply," Chikwinya said. 'The sooner Emmerson Mnangagwa and Chiwenga realise that there is growing discontent with regards to remuneration across the entire public service including the uniformed forces the more they should sober up and institute proper dialogue mechanisms. VP Chiwenga, this DIBIRITATING behaviour moulded around your military style of leadership is fast becoming unbecoming."